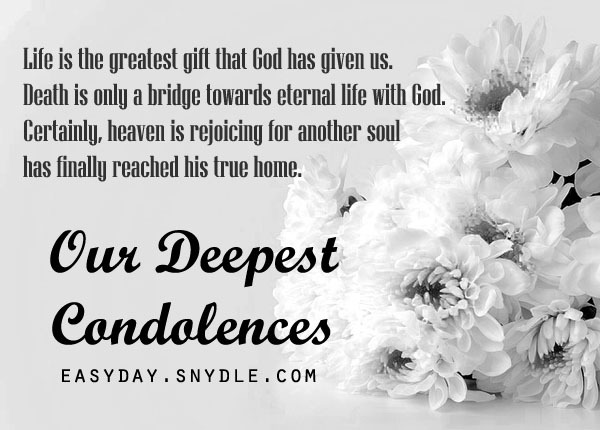 One of the most difficult times that we will encounter in our lives is the loss of our loved ones. Hearts are heavy and everything seems to be gloomy for the bereaving party. You can’t just sit there and do nothing. Of course, you would want to encourage as much as possible and give them support in whatever way you can. Moreover, it will be very heart-warming on their end if you will express your sympathy for their loss. 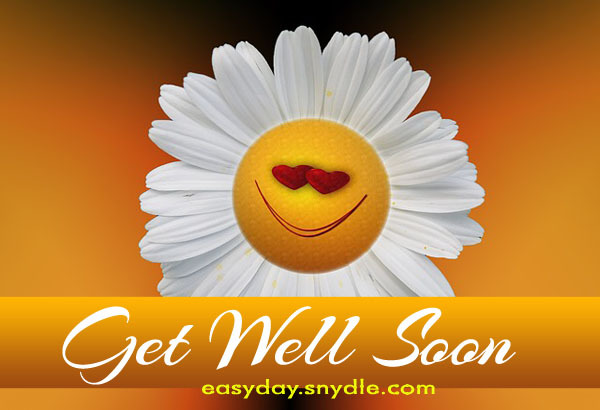 Condolences cards go handy with flowers to show that you do care. Nonetheless a simple note or card will do. It doesn’t have to flowery and put in so many words. And it would be best if you write it with your own words for a sense of personal touch in expressing your sentiments. 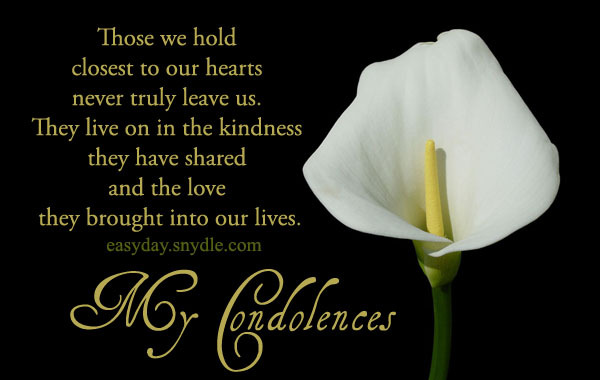 Nevertheless, if words are not that easy to grasp you don’t know where to start, you might want to consider our few samples of condolences messages below. 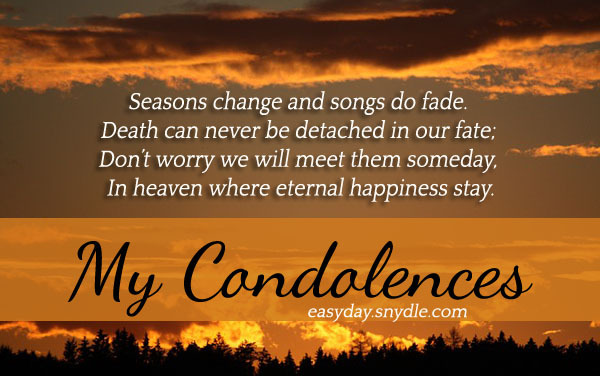 Words of sympathy, next to I’m sorry, is one of the hardest words to express. You will probably ask why. Well, if you are not sensitive enough, you might end up offending the grieving party instead of alleviating the sorrow they have. So, keep it light and sensitive. 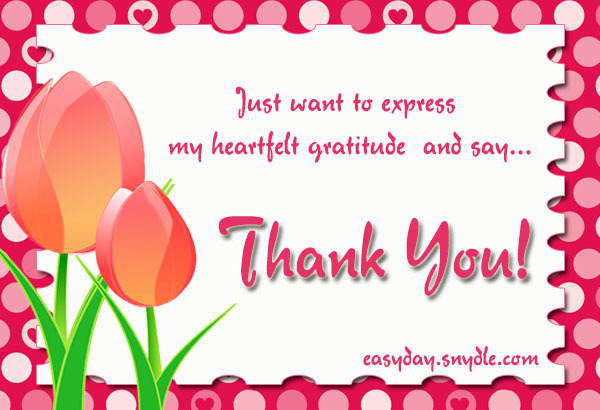 Here are some samples of condolences messages that you can write in your condolences cards. We share your deepest sentiments. 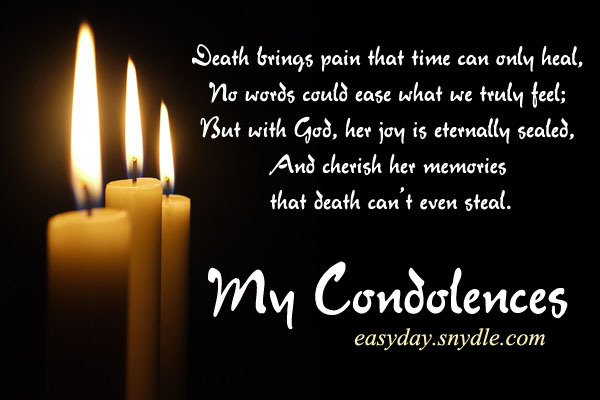 Let my prayers and comfort embrace you on this bereavement. Mother is one’s everything. It’s hard to lose someone so precious to us, what more if it’s our mother, the one who raised us, the one who cared for us, the one who showed us the world, the one we considered treasure. It is really devastating for someone to lose a person as precious as mother. 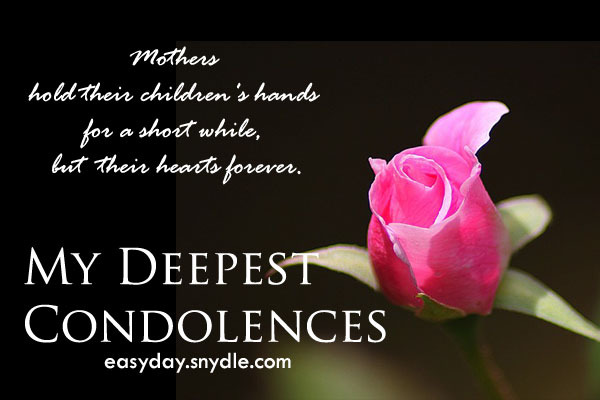 Soothe their hearts with these sympathy condolences messages for the loss of a mother. The darker the night, the brighter the stars would shine. Cheer up! You still have US. You won’t be alone in this fight. Her memoirs shall live forever. Carve a smile, your mother is there now. Just like Mothers, Fathers are also precious to one’s life. Losing him is like losing one wing to fly. You will end up falling and finding it hard to fly high again. Give some peace to their grieving heart with these condolence messages after losing a dad. We will always be here for you. He doesn’t want you to be sad. She has been a very good person, friend and a perfect wife. A 26-year-old freelance blogger / writer / graphic designer / trying-really-hard-cook, who loves to travel and meet new people.